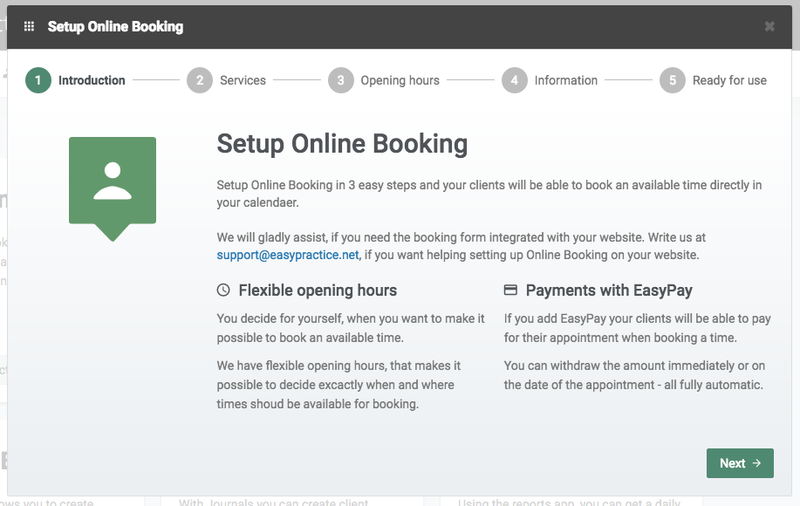 Here is a short guide for setting up your online booking form in EasyPractice. When you’re logged in to the system then go to ‘Apps’ in the menu and activate ‘Online Booking’. When doing so a pop-up window will appear and guide you through the set up. If you haven’t registered any services yet, you’ll have to do that first. Just click the link and go back to the section ‘Set up Online Booking’ when you’ve finished. 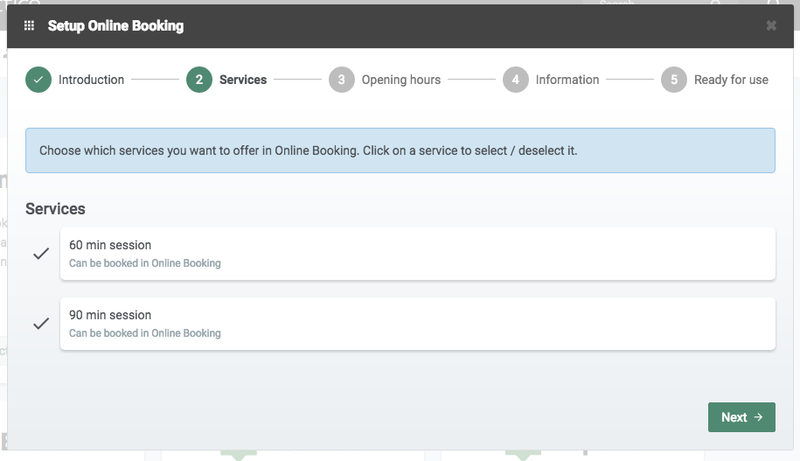 Choose which services you’d like to have in your online booking form. In this step, you’ll define your daily opening hours. It’s within these hours that your clients can book an appointment with you. 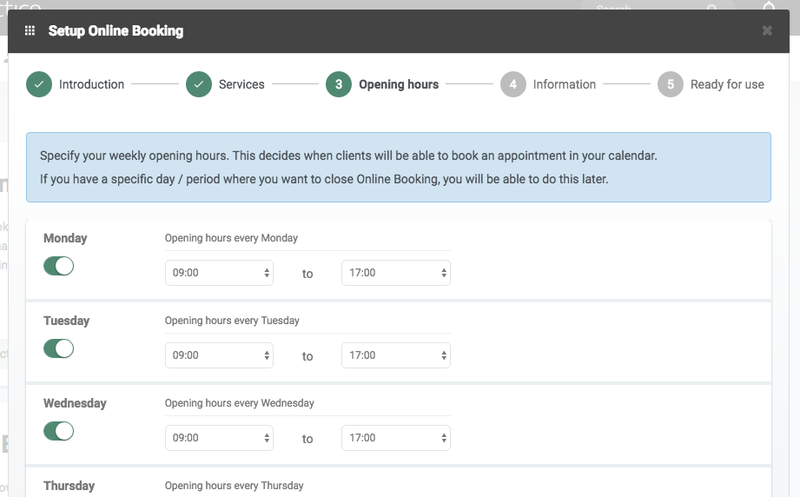 If you’d like to turn off Online Booking during a specific day or period, you’ll be able to do that later on. 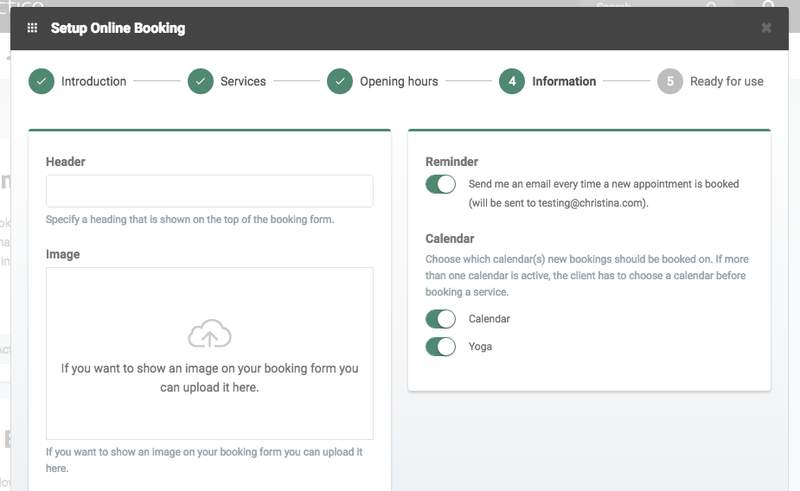 If you’d also like to have more than one active calendar connected to your booking form, you’ll also be able to do that after the setup. The last thing you’ll need to do, is to write a header, and, if you like, you can upload your company logo and choose whether or not the system should automatically notify you of new bookings.